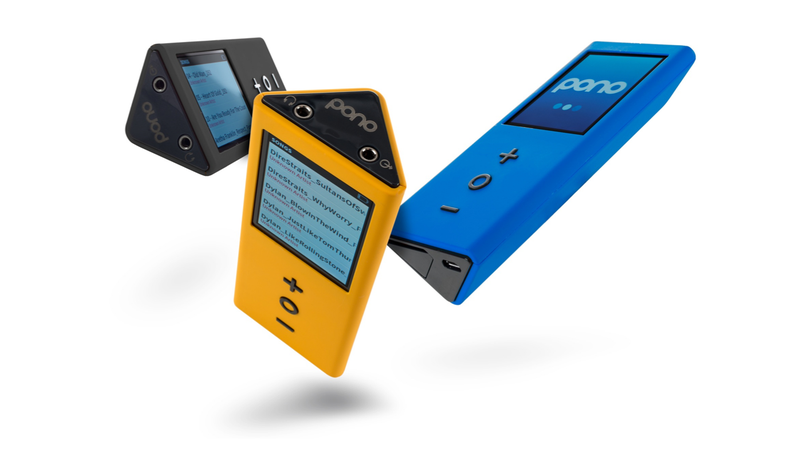 Neil Young's new music player, Pono, has been on the cards for some time. But now, there are finally some real details: from March 15th, you'll be able to pre-order one on Kickstarter for $400. The big, bright triangular digital music player provides "studio master-quality digital music at the highest audio fidelity possible" according to PonoMusic, which gives listeners the ability to "experience music the way the artists intended." It remains to be seen exactly how accurate that is—and whether there's consumer demand for it—but it's kind of neat that the Canadian rocker is pushing the idea so hard. The music player has 128GB of memory and can "store from about 100 to 500 high-resolution digital-music albums," though you'll be able to expand that with a memory card. It also has both a touchscreen LCD and some physical buttons, too. It's designed to work with an associated PonoMusic.com service, which will provide users with "the finest quality, highest-resolution digital music from both major labels and prominent indpendent labels." It's not been confirmed yet who exactly that will include, though hopefully there's a decent stash available to listen to by the time the device is launched. One nice piece of news is that the device will, apparently, not feature any DRM restrictions.